What makes the air we breathe? What causes the ocean waves? 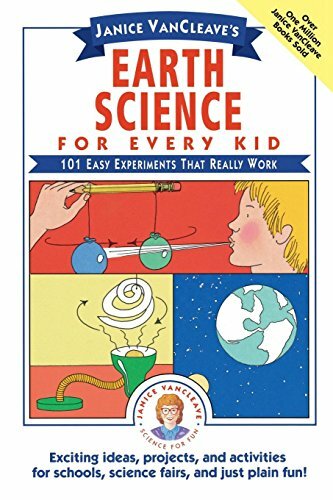 Now you can learn the answers to these and other questions aboutthe earth, sea, and air through 101 fun, safe, low-cost experimentsand activities that can be performed at home or in the classroom.In Earth Science for Every Kid, you'll use a tennis ball and amarble to demonstrate a solar eclipse. You'll make a peanut butterand jelly sandwich to understand sedimentary rock formation. And,with the assistance of a Slinky(r) and a helper, you'll learn aboutthe motion of water waves. Each of the 101 experiments is broken down into its purpose, a listof materials, step-by-step instructions, expected results, and aneasy to understand explanation. Every activity has been pretestedand can be performed safely and inexpensively in the classroom orat home.